Keep Safe Shelters can custom make a shelter to fit your needs. All storm shelters are stronger than our competitors. 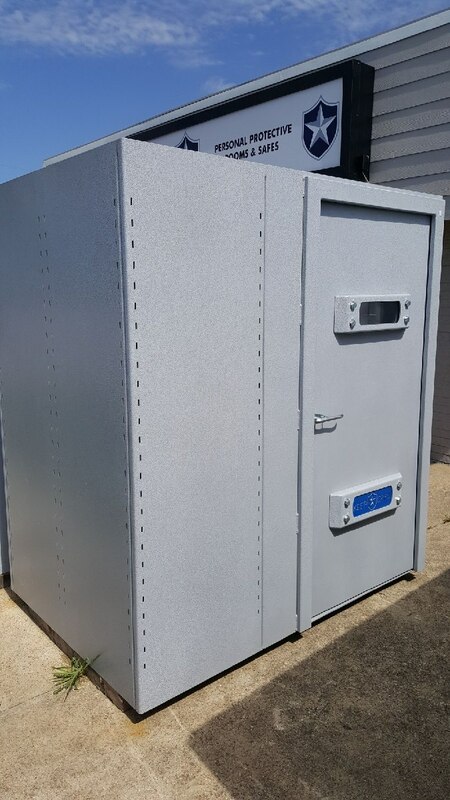 We are using a minimum of 3/16″ thick steel, and the tornado shelters are fully painted inside and out to protect your investment. A fully galvanized storm shelter is also available and will give over 100 or more years of rust protection. We are confident our storm and tornado shelter selection is the most functional, versatile and reliable on the market. Tornado safety is a priority in our underground storm shelters. We built a strong shelter capable of withstanding over 260mph winds while utilizing the space by incorporating an integrated shelf system. So now you can use your tornado shelter all year long for many, many years. Keep your family safe. We have engineered, tested, manufacture and distribute the highest quality, multi-use shelters at a competitive price. And all of our units come with a lifetime guarantee. Please call us at 469-314-0074 for more information. We do not sacrifice quality in any of our shelters. Our highly qualified welders and fabricators have strict guidelines to follow on every underground storm shelter we manufacture. All of our storm shelters are held to the highest standards. We are the manufacturer and continually push ourselves to make a better quality storm shelter. Did you know that we also carry a lifetime guarantee on every shelter. Of course, we also offer installation for our underground storm shelters.